If you’re new here, there’s one thing you need to know; we love finding local wildlife. 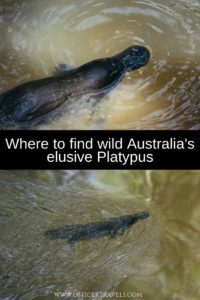 In each county, we visit we put together a wildlife bucket list and there was only one animal to tick off of our Australian one; The duckbilled platypus. Widespread across Australia, you’d think they would be fairly easy to find but it seems they’re more elusive than the ‘common’ wombat who had us chasing him up the East Coast for a year and a half before we saw him! As we headed towards the north, we began losing hope. It felt like we’d never get to see a Platypus, Australia Zoo didn’t even have them and if you can’t see them there, where can you platypus in Australia! Well, it turns out that the Atherton Tablelands in Far North Queensland might just be the best place! After an amazing couple of days exploring the waterfalls within the Atherton Tablelands, we started making our way north towards Mareeba before heading across to Cairns. The Tablelands are part of the UNESCO world heritage site ‘the Wet Tropics’ so there’s plenty of creeks, lakes and rivers for the mysterious platypus to hide in. It didn’t seem hopeful that we’d be able to find wild platypus in this part of Australia but then we started hearing whispers, there’s was talk of this one place in the heart of the Wet Tropics where you could apparently see them almost every time. Would this be it? This wouldn’t be the first time we’d spend all morning in search of Platypus, we’d already tried our luck twice before. Our first time was at Jenolan Caves, where the blue lake is rumoured to be a ‘sure thing’ when it comes to Platypus, not for us. 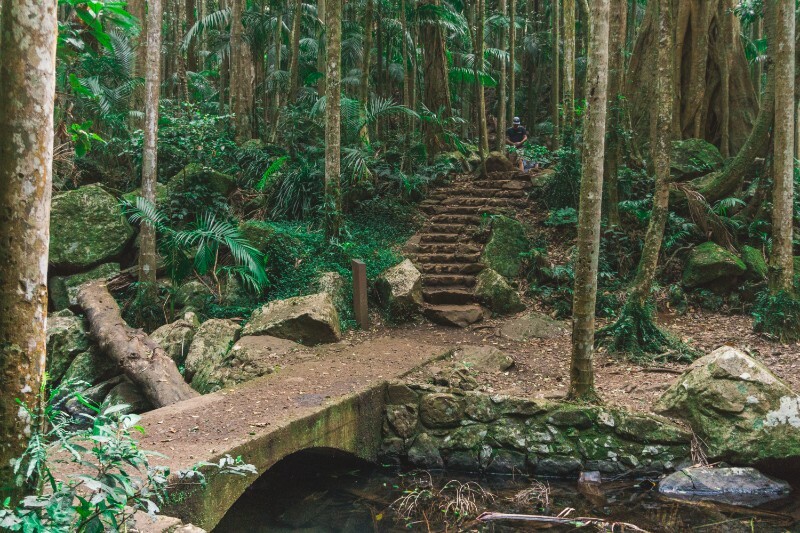 Then came Mount Tamborine, a place of rolling hills and flowing creeks, a place full of Platypus sightings and close encounters with the duckbilled beauties but again, not for us. Both times we came away from our attempt to find platypus in the wild disappointed so we weren’t about to get our hopes up for a sighting in the Far North, I was prepared for a long wait and I was even more prepared to come away empty handed so to speak. 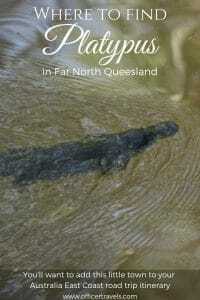 Between Millaa Millaa and Atherton is a small place called Yungabarra and here you’ll find one of the best places to see Platypus at the Atherton Tablelands, if not, in the whole of Australia. Peterson Creek is just a small creek that runs below Yungabarra with a nice walking track running alongside it. When you pull in to the small ‘car park’; ok, it’s more like a roadside lay-by; you’ll be greeted with an ‘official’ platypus viewing platform next to the road bridge and a fun Platypus interactive wall. It’s clear from the start that the locals are clearly of the duckbilled kind but I fought the feelings of excitement that were slowly creeping on me, I wasn’t about to let myself be disappointed again. We sat for 10 minutes before we decided to cross the bridge and head down onto the footpath and follow the creek away from the busy road. If I was a shy duckbilled platypus I certainly wouldn’t be relaxing here. 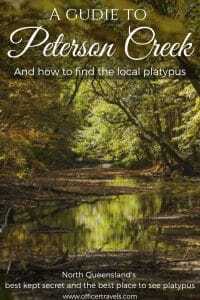 Apart from the chance to see platypus, Peterson Creek is actually a really nice walk to escape the heat. It’s very shaded and there’s plenty of benches and rest spots scattered along the way. We took each opportunity to sit and wait, watching the water for those telltale signs of Platypus lurking beneath the water. We sat and we waited. 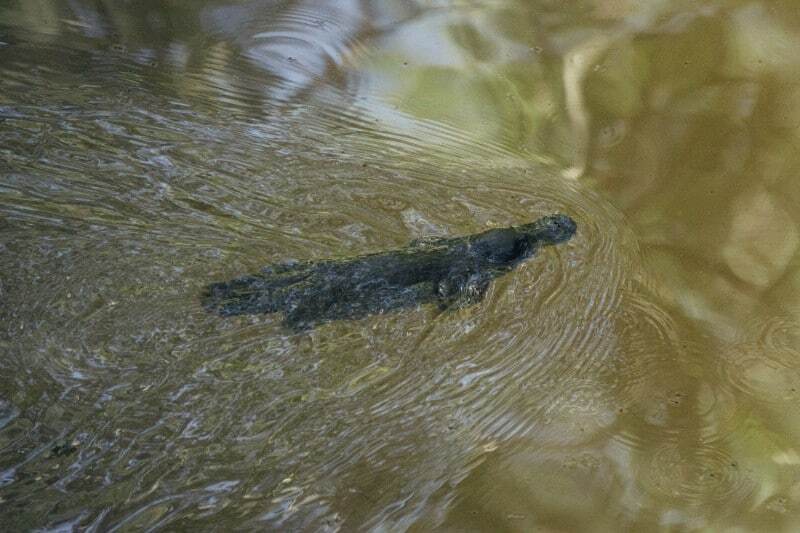 We saw plenty of freshwater turtles, each time they made my heart skip thinking the dark shadow slowly surfacing was the animal we’d been waiting for but each time, it wasn’t. After following the path along we finally reached the end of the path, it felt different here. 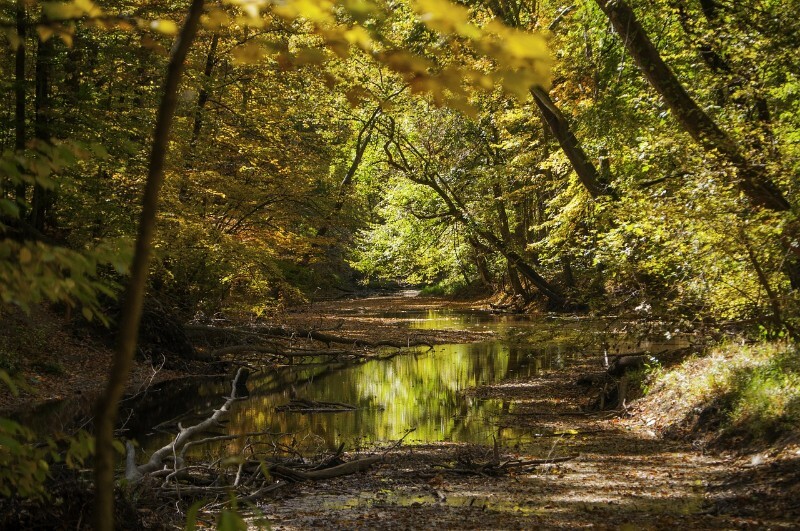 It was much more shaded and the edge of the creek seemed to feel alive, deep shadows carved their way into the banks and the reeds grew wild. Something drew us to the edge where we sat and waited for some more. If you hadn’t guessed. Waiting for Platypus requires some patience. 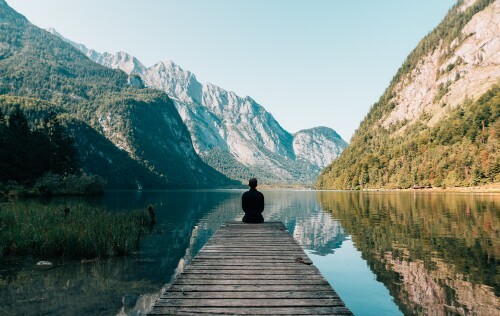 If you find yourself getting restless, force yourself to stay longer because it’s at the moment you walk away, that you can guarantee you’ll miss something spectacular. We nearly made this mistake. Finally, something caught Dec’s eye as I gazed over nothing in the distance. Bubbles, then bigger bubbles, making their way across the top of the water. They looked like they were moving deliberately, all in the same direction, popping as they reached the surface. I didn’t realise I was holding my breath until I saw what we were looking for and let out a huge excited squeal under my breath. A smooth, duckbill shape breaking the surface of the water followed by dark tiny eyes on a furry face. It swam across the creek seeming to not mind our presence before ducking back under to fish for more dinner, or at least that’s what I imagine he was doing. Just a short distance later he popped back up, heading downstream in the direction we’d just been going; had we have been moments later, we might have missed him completely. We followed him all the way down the creek as he went about his day. Sometimes he seemed to watch us watching him before he’d dip back under, zig-zagging back and forth between the banks and disappearing in the murky water. It was obvious he knew these waters like the back of his… flippers? One thing that struck me about him was how much smaller he was to what I was expecting. We’d bought Dec’s mum a teddy replica and it turned out to not be far off the actual size! We’d waited to see the Platypus at Peterson Creek for about an hour and a half, then watched him swim peacefully for 25 minutes before crowds started to walk down the path. I kid you not, two people showed up, then three, then a family of four… all being able to spot the Platypus within a matter of moments. I couldn’t help but feel jealous. We’d waited weeks to see them, sure maybe they had too, and then we’d spent hours waiting patiently by the creek side but these lucky people managed to come just at the right moment. Seeing the look on the little girls face when I pointed him out to her made that feeling go away though and we left the crowds to enjoy him together; at least we’d been able to share a moment with him just the three of us. Getting to the best place to see Platypus at the Atherton Tablelands is fairly easy if you’re already travelling up Australia’s East Coast. From Innisfail you take the Palmerston Highway right through Millaa Millaa and onto the Malanda Millaa Millaa road, this takes you right up through Malanda where you’ll then need to look for a turning on the right for ‘curtain fig tree road’ (also a great stop while you’re there! ), turn right onto the Gillie Range road and look out for the lay-by/car park on the right just after the bridge. From Gordonvale take the Gillie Range highway right through Yungabarra and it’ll lead you straight to the carpark. From this direction, it’ll be before the bridge and on the left. 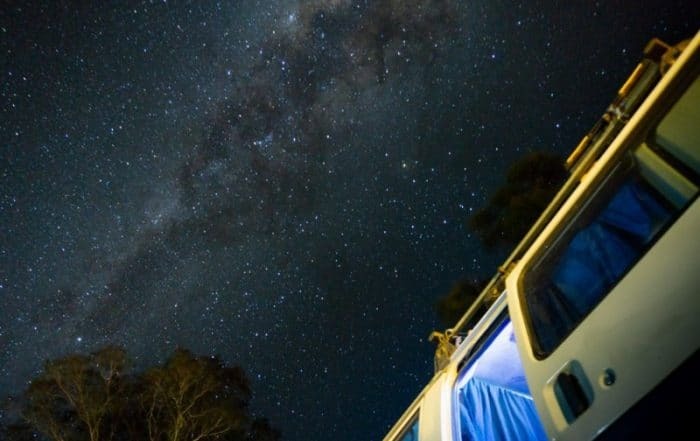 If you’re in Cairns and heading to the Atherton Tablelands for the weekend, the best way to go; unless you’re wanting to do Barron Falls or the northern parts first, would be to head south to Gordonvale and go from there. Tarzarli platypus lakes claim to be home to Australia’s largest and most stable population of platypus. 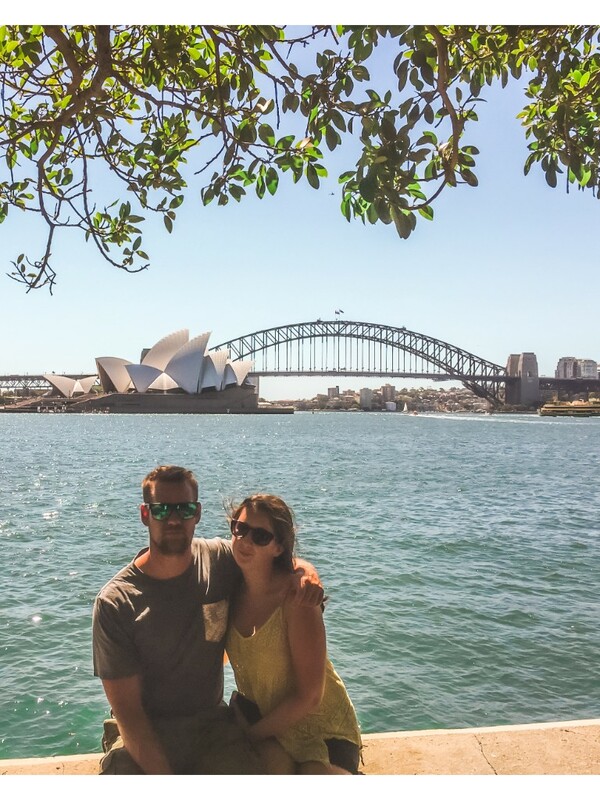 They guarantee you’ll see wild platypus and if you don’t… you get your money back. That’s the catch. It’s $8 per person to be led around their private lake by a ‘ranger’ who explains to you more about the platypus and its elusive nature. We did actually drive down to the gates to see what it was all about and it wasn’t really the money that put us off from going inside… It was the idea of having a guide talking to you all the time and pointing them out to you, taking away the excitement of seeing them for the first time. It also felt a bit forced, we could see the lake fenced off just behind the cafe. There were platypus pictures and signs everywhere as well as signs saying no food or drink (including water bottles) to be taken in unless you bought it there. It felt like a tourist trap and I couldn’t be 100% sure that they weren’t feeding the platypus to make sure they stayed there. Tarzali platypus lakes are closer to Malanda than Yungbarra but the whole place gave me the jeebies and after visiting Peterson Creek I’m glad we chose to drive for another half an hour and finally see Platypus in the wild. Bubbles; Bubbles at the surface are a sure sign that there’s life creating them but Platypus bubbles are different. They’re a bit bigger than you’d expect them to be, so if you see some unnatural looking bubbles flowing in uniform near the edges of the waterway it could well be a platypus. ‘Paddle marks’; This is hard to explain so imagine your hands are underwater ‘paddling’ just below the surface. 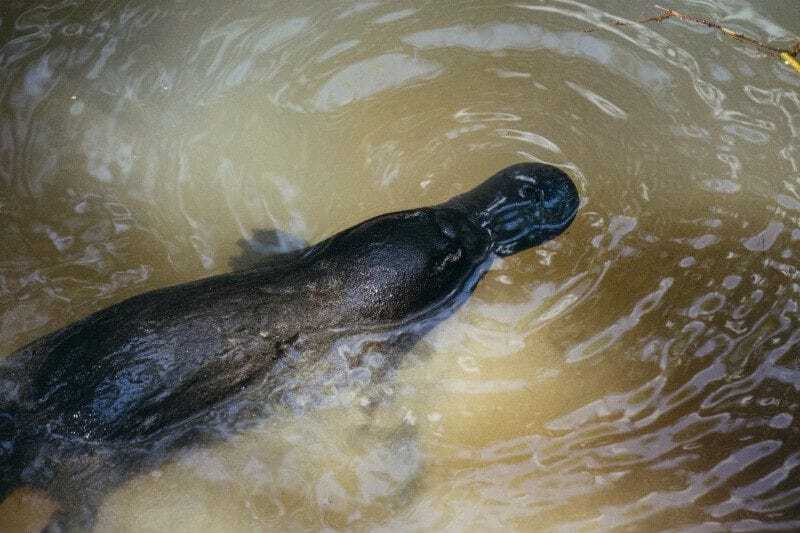 The way the water tides in rhythm to your hand movements is what it looks like when a Platypus is swimming close to the surface. V shapes; Like when a duck swims in the water, a platypus with its bill slightly above the water will leave the same marks. Obviously, if you’re seeing the V there’s a good chance you’ll see the Platypus too. Holes in the bank; not a dead cert that there is platypus nearby but holes in the river banks could sometimes be a platypus den. At the top of Peterson Creek, these holes were what made us take a pause and spend a little longer looking. Yungabarra isn’t just the best place to see Platypus at the Atherton Tablelands though, it’s home to the famous curtain tree fig and it’s super close to the waterfall route; a single road with at least 5 waterfalls along it. All of these make the Atherton Tablelands a must do when you’re visiting Far North Queensland. So if you’re in Cairns or heading up that way and you’re not sure what to do this weekend, maybe give the wet tropics a try – full itinerary post coming soon! 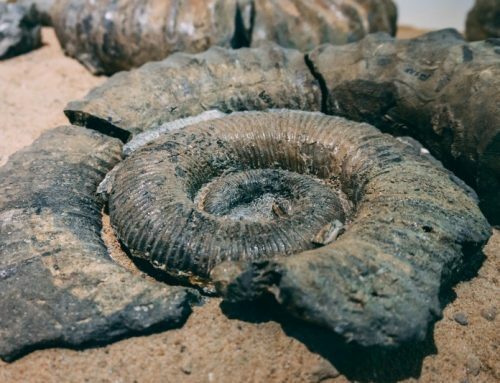 What’s the weirdest animal you’ve ever seen? 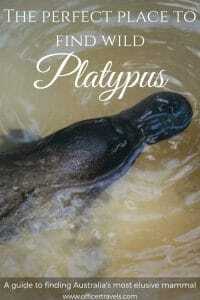 Did you know that when scientists first found platypus, they thought it was a hoax? Let us know in the comments below what would be on your wildlife bucket list! Other posts we know you’ll love!! Having never seen one, I was beginning to think these cuties didn’t exist. I want one! Haha yea it’s easy to think they’re mythical! Especially when the Zoo didn’t even have any! They are silly looking creatures indeed. I had a platypus stuffed animal growing up and it was one of my favorites. how fun to find one in the wild and without a guide talking your ear off. Sometimes I don’t mind guides if they are well informed. What an extraordinary creature. 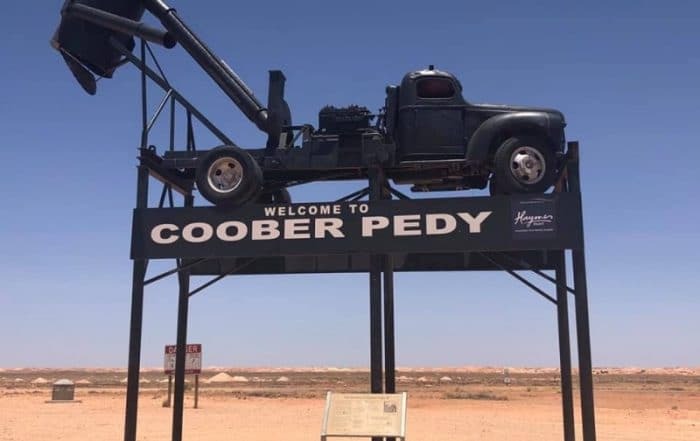 I’m sure the trip to find it is so much fun and must-do when in Australia. I have never heard of anything called Platypus lake till now. I will surely add this in my itinerary and see what is so amazing about this natural wonder. I love finding local wildlife just like you guys! Platypus are so cute and yes also hard to find! I saw one in Tasmania but just for a very quick moment. Nothing like the close-up experience you had! 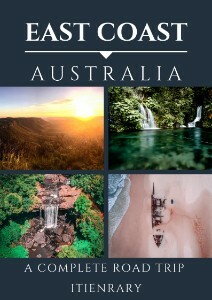 I definitely need to go back to Queensland and check out this place! Aww cool! We’ve not been to Tasmania yet but we’re hoping to. This is such a cool post! i have never seen a platypus in real life and it seems like it would be such a great experience. What made you guys seek out this adventure? Such a fun read! 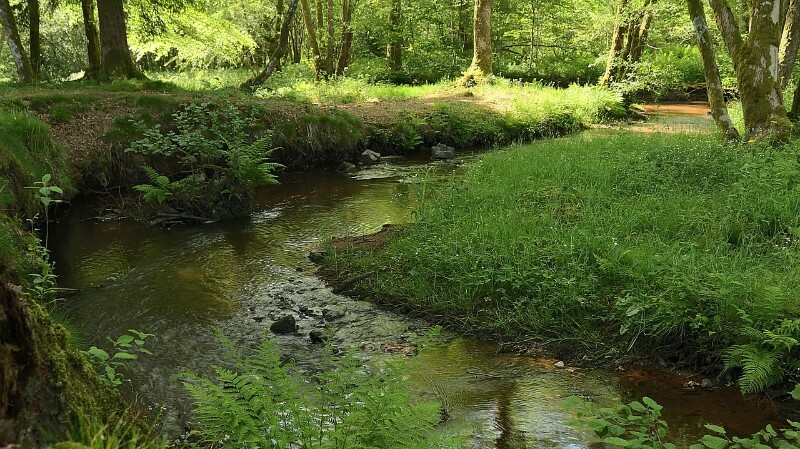 My son just traveled to this area and he would love to go on this adventure of finding platypus. Wow, that must be awesome to finally spot a platypus. Can only imagine! Wow- what a unique experience it would be to see them in the wild! I love that you included the information on the tourist part. I totally agree that it sounds like that takes away a lot of the excitement of seeing them in the wild yourself. Good info for people considering this on a trip!